You can help us earn grant money! Voting has begun for the 10th Annual Community Awards Program so please help us earn grant money! We will receive a $25 donation from the Ion Bank Foundation for every vote we receive! Every vote counts! If you are an Ion Bank customer, please visit IonBank.com to vote until March 31, 2019. Voting is open to all Ion Bank customers. One vote per customer, however, for accounts with multiple owners, each owner may vote. Customers with multiple accounts may only vote once. Each customer can vote for only one organization.  Arts for Learning CT is excited to welcome aboard a slew of new artists, as well as new programming from veteran artists! Let's welcome African Drummer Bolokada Conde, Environmental Entertainer Billy B from Young Audiences of MA, Spoken Word Artist and Poet Sharmont "Influence" Little, Author and Visual Arts Teacher Susan Striker, and Author and Motivational Speaker Theresa Mackiewicz! Also featured on our website are new programs from Kahana Hula, Laughing Matters, and Turtle Dance Music! One of our new Roster Artists and former special educator Theresa Mackiewicz is speaking to children with special needs in a new way. Her book "Scribbles" is giving them a voice. "Scribbles is a young girl who struggles in school. She would rather draw her favorite animal, frogs, all day. Mrs. Sunshine notices her struggle and guides her in her schoolwork so she can feel successful in both environments: school and drawing," Mackiewicz wrote. Arts for Learning CT is proud to announce our 2018 Performing Artist of the year: Surcari! Surcari has exploded this year with great demand from schools for their irresistible Latin American beats. Surcari's joyful yet intense musical style introduces students to instrumental and vocal music from the Spanish Caribbean, South America, Spain and Mexico. Arts for Learning CT is proud to announce our 2018 Teaching Artist of the year: Tom Lee! Tom is a master storyteller and has been mesmerizing audiences with folktales from around the world for decades. He brings history to vivid life as he tells stories of authentic epics and legends from the great civilizations of the past.